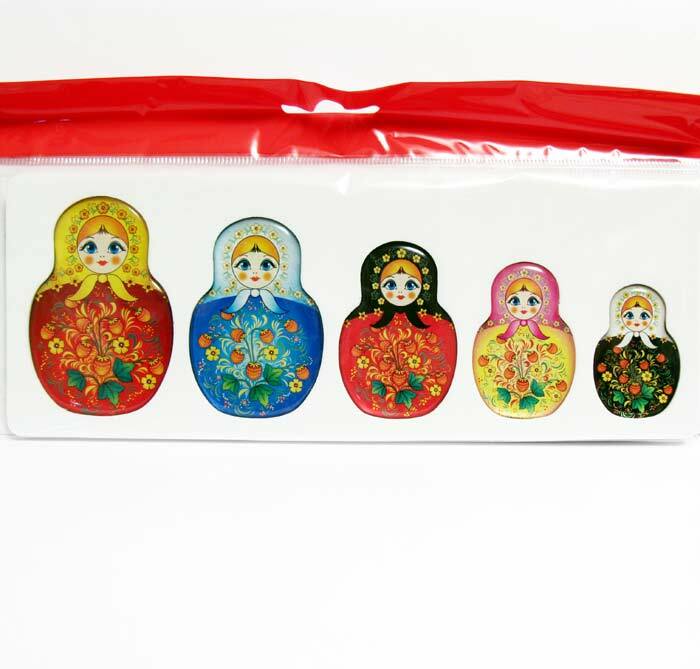 Size from 7.5 cm/3" tall to 4 cm/1-2/3"
Magnet set Matryoshka is a set of 5 cute fridge magnets which are made in of soft PVC rubber and soft magnet, printed 3D picture is coated with special hard and transparent coating. 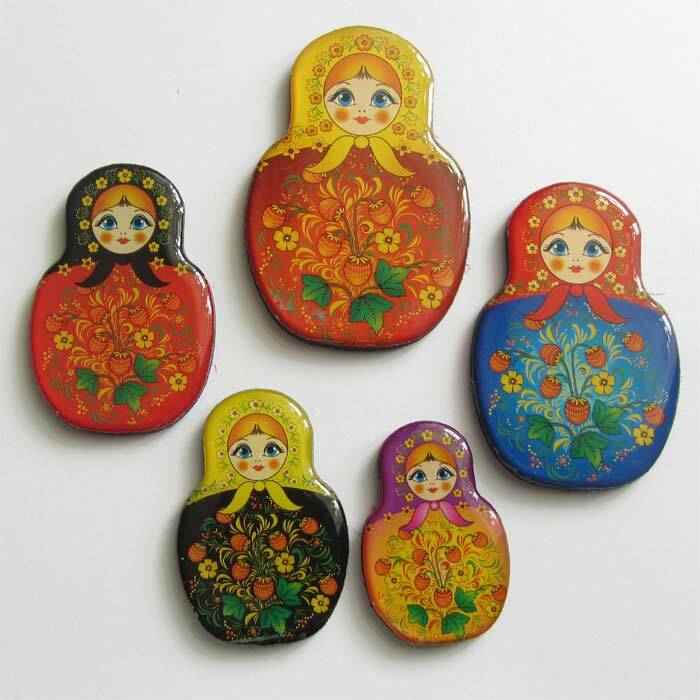 The largest magnet is 7.5 cm/3" tall, the smallest - 4 cm/1-2/3". Magnets are packed into white rubber and into plastic bag. 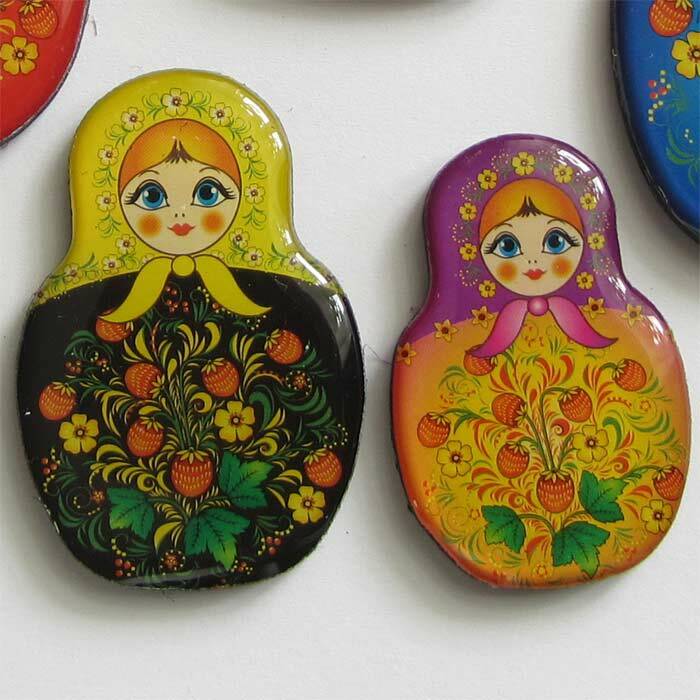 This magnet set can be a good present for everybody.